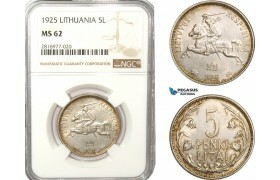 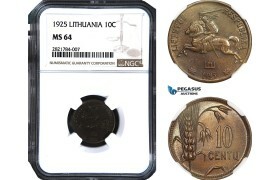 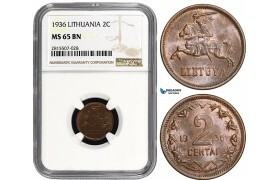 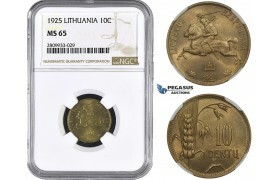 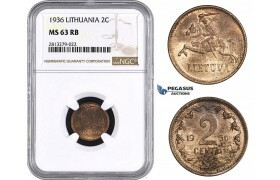 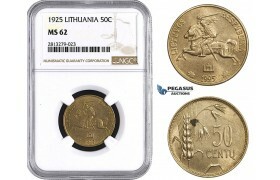 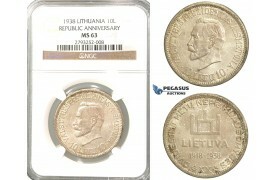 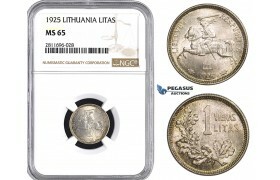 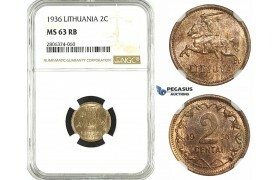 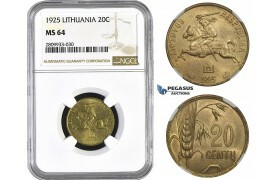 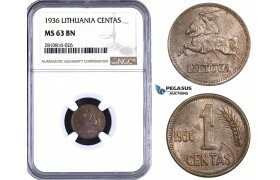 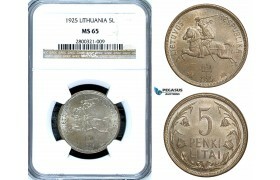 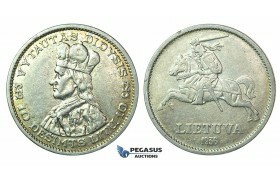 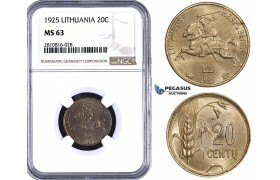 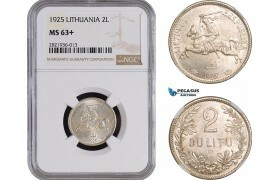 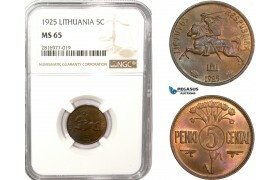 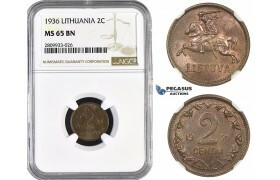 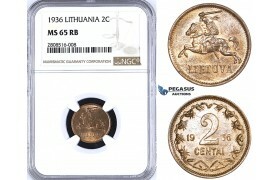 AA259, Lithuania, 2 Centai 1936, NGC MS63RB ..
AA260, Lithuania, 50 Centu 1925, NGC MS62 ..
AA428, Lithuania, 2 Litu 1925, SIlver, NGC MS64 ..
AA429, Lithuania, 5 Litai 1936, SIlver, NGC MS61 ..
AA552, Lithuania, 10 Centu 1925, NGC MS64 ..
AA696, Lithuania, 2 Centai 1936, NGC MS64BN ..
AA810, Lithuania, Sigismund II Augustus, 4 Groschen 1566-SA, Vilnius, Silver (3.94g) aVF ..
AA852, Lithuania, 2 Centai 1936, NGC MS65BN ..
AB177, Lithuania, 5 Centu 1925, NGC MS65 ..
AB178, Lithuania, 5 Litu 1925, Silver, NGC MS62 ..
AB179, Lithuania, 10 Litu 1936, Silver, NGC MS61 ..
AB319, Lithuania, 10 Centu 1925, NGC MS62 ..
AB320, Lithuania, 10 Centu 1925, NGC MS63 ..
AB321, Lithuania, 10 Centu 1925, NGC MS63 ..
AB541, Lithuania, 5 Centai 1925, NGC MS63 ..
AB542, Lithuania, 5 Centai 1925, NGC MS64 ..
AB543, Lithuania, 5 Centai 1936, NGC AU58BN ..
AB544, Lithuania, 5 Centai 1936, NGC MS65BN ..
AB545, Lithuania, 10 Litu 1936, Silver, NGC MS63 ..
AB894, Lithuania, 10 Centu 1925, NGC MS65 ..
AB969, Lithuania, 10 Centu 1925, NGC MS64 ..
AC069, Lithuania, 2 Litu 1925, Silver, NGC MS63+ ..
AC070, Lithuania, 10 Litu 1936, Silver, NGC MS64 ..
AC252, Lithuania, 2 Centai 1936, NGC MS66BN, Pop 2/0, Rare Grade! 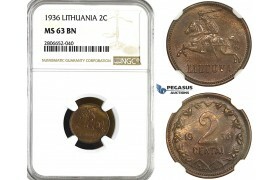 AC252, Lithuania, 2 Centai 1936, NGC MS66BN, Pop 2/0, Rare Grade! 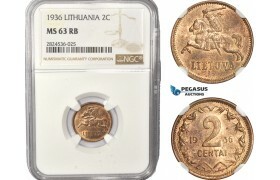 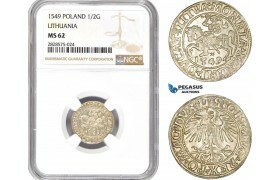 ..
AC399, Lithuania, 2 Centai 1936, NGC MS63RB ..
AC400, Lithuania, 5 Centai 1936, NGC MS64RB ..
AC849, Lithuania, Sigismund II August of Poland, 4 Groschen 1565, Vilnius, Silver (4.06g) VF ..
AD027-R, Lithuania, Sigismund August of Poland, 1/2 Groschen 1549, Silver, NGC MS62, Pop 1/0 ..
AD280, Lithuania, Sigismund III. 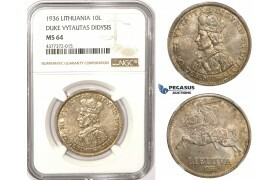 of Poland, Trojak (3 Groschen 1595, Vilnius, Silver (2.47g) AU ..
J09, Lithuania, 10 Litu 1936, Silver ..
J98, Lithuania, 1 Centas 1925, NGC MS62 ..
P76, Lithuania, Republic Anniversary, 10 Litu 1938, Silver, NGC MS63 ..
R389, Lithuania, Republic Anniversary, 10 Litu 1938, Silver, NGC MS61 ..
W81, Lithuania, Sigismund III of Poland, 3 Groschen (Trojak) 1593, Vilnius, Silver (2.38g) Iger V.93..
W82, Lithuania, Sigismund III of Poland, 3 Groschen (Trojak) 1600, Vilnius, Silver (2.19g) gVF (Cleaned) Very Rare! 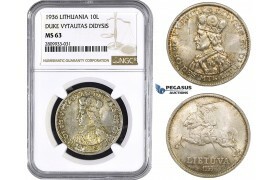 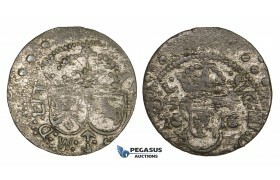 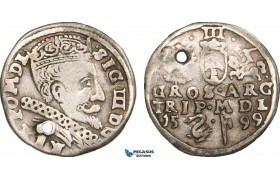 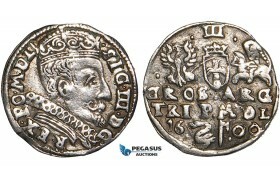 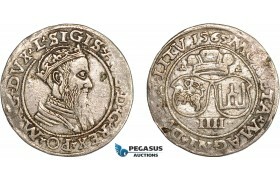 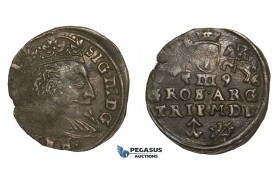 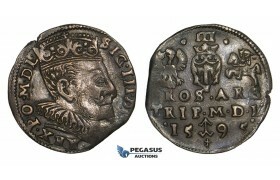 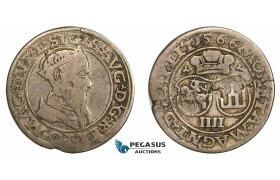 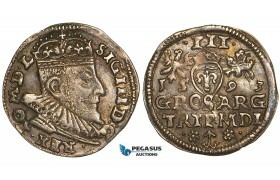 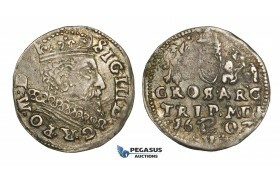 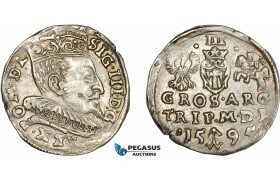 W82, Lithuania, Sigismund III of Poland, 3 Groschen (Trojak) 1600, Vilnius, Silver (2.19g) Iger V.00..
ZA62, Lithuania, 5 Litai 1925, Silver, NGC MS65 ..
ZK54, Lithuania, 2 Centai 1936, NGC MS63RB ..
ZL19, Lithuania, 2 Centai 1936, NGC MS63BN ..
ZL20, Lithuania, 10 Litu 1938 "Republic Anniversary" Silver, NGC MS63 ..
ZL90, Lithuania, Sigismund III of Poland, Solidus 1616, Vilnius, Off centered 20%, VF ..
ZM202, Lithuania, 2 Centai 1936, NGC MS65RB Pop 1/9, Rare in this Quality! 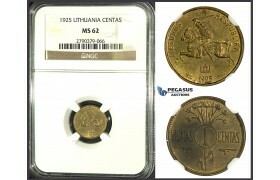 ZM202, Lithuania, 2 Centai 1936, NGC MS65RB Pop 1/9, Rare in this Quality! 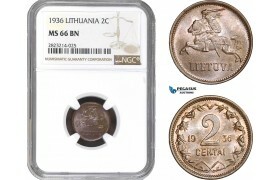 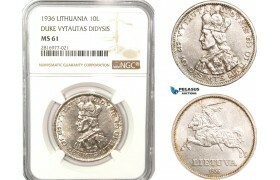 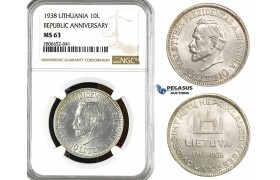 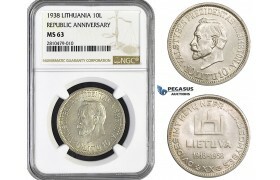 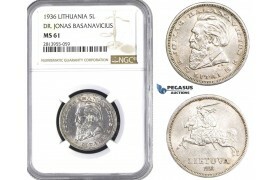 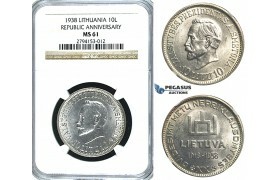 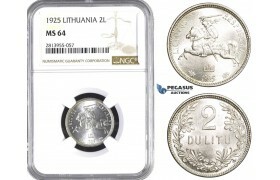 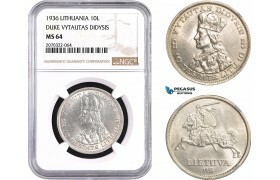 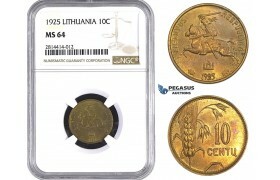 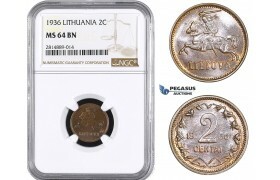 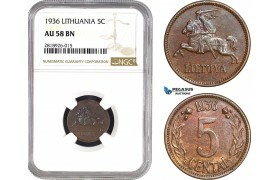 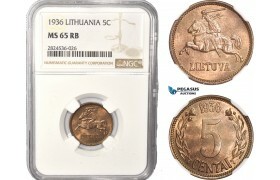 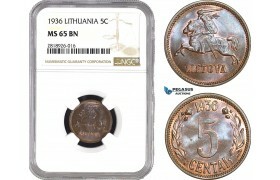 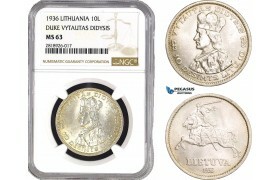 ..
ZM350, Lithuania, 10 Litu 1936, Silver, NGC MS64 ..
ZM591, Lithuania, 2 Centai 1936, NGC MS65BN ..
ZM592, Lithuania, 2 Centai 1936, NGC MS65RB ..
ZM593, Lithuania, 5 Centai 1936, NGC MS65BN ..
ZM594, Lithuania, 10 Centu 1925, NGC MS65 ..
ZM595, Lithuania, 20 Centu 1925, NGC MS64 ..
ZM596, Lithuania, 10 Litu 1936, Silver, NGC MS63 ..
ZM755, Lithuania, Republic Anniversary, 10 Litu 1938, Silver, NGC MS63 ..
ZM819, Lithuania, 1 Centas 1936, NGC MS63BN ..
ZM820, Lithuania, 10 Centai 1925, NGC UNC Details ..
ZM821, Lithuania, 20 Centai 1925, NGC MS63 ..
ZM945, Lithuania, 1 Litas 1925, Silver, NGC MS65 ..